Yukon Housing Corporation announced the availability of two new homes in Porter Creek. The duplex includes two two-bedroom units that are accessible and energy efficient. Yukon Housing Corporation will own and operate these homes as part of the rent-geared-to-income program, which houses families and individuals from the Yukon Housing Corporation wait list. "This new addition to our social housing rental stock made good use of our existing property in Whitehorse by replacing a single family home with a duplex,” said Pauline Frost, minister responsible for Yukon Housing Corporation. “This energy efficient duplex will keep two families safely and securely housed for many years to come." "The peace of mind that comes with having a secure and stable home is invaluable,” said Larry Bagnell, MP for Yukon. “This is why our Government is glad to be involved in the creation of these brand new homes, which will provide two families in Porter Creek with high quality, energy efficient and accessible housing. I'm glad to see we are making progress in tackling housing affordability, all while supporting the local economy." Funding for this project came from the Northern Housing Fund under the National Housing Strategy. 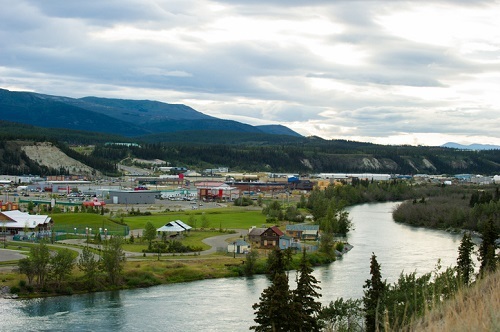 Will the Wolverine mine closure impact Yukon real estate?